I think it's just closed. Well, the best I can tell is that They may have CGI'd or airbrushed the door closed, but there's definitely a door there and not a wall. The little black control panel on the right gives it away. I never said it was a wall. I said they just edited whatever was in the frame out. Might be censoring a spoiler or something. Weel, in that case you probably should have said They edited something IN, not out. I guess I'm just not seeing what you are for some reason. It looks like they closed the door using MS Paint. DaveyNY, saddestmoon and King Daniel Beyond like this. Good catch! It certainly looks like they edited something out of the original photo, and rather sloppily at that. Could be filming equipment or something similar. And I agree the sets looks more interesting when not bathed in cool blue light. It's also nice to have my suspicion confirmed that they converted the Shenzhou bridge for the set. 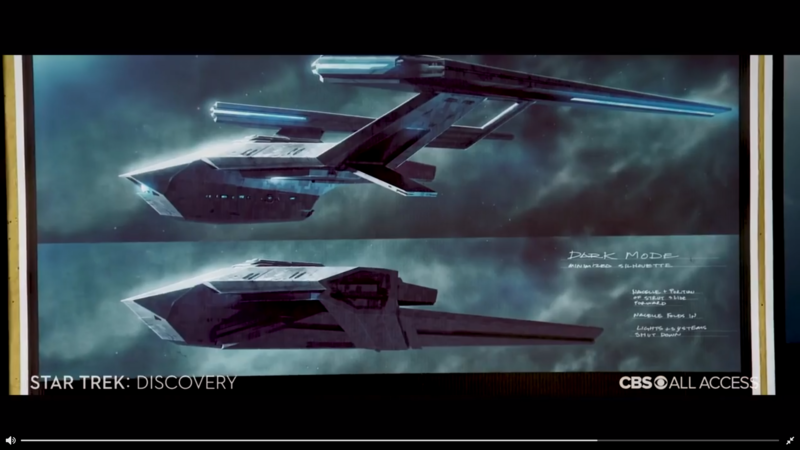 Concept art, the nacelle folding seems to be what I assumed, it is related to its stealth mode. saddestmoon, King Daniel Beyond and pst like this. 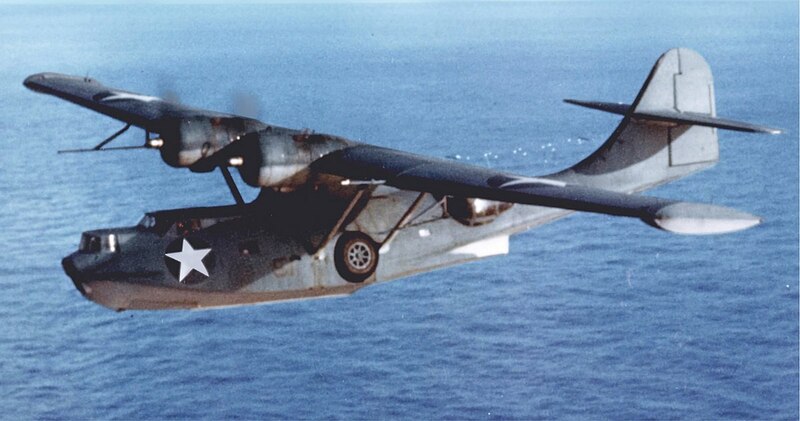 Still looks like an old WWII Consolidated PBY Catalina to me. saddestmoon, Ar-Pharazon, ITDUDE and 1 other person like this. If Jack Northrop had built a stealth flying boat, that would have been it. Yes! Thank you! I knew I remembered that shape from somewhere.